Name : No Justin Bieber,Please!!! Justin Bieber is now killed. Flip a coin. 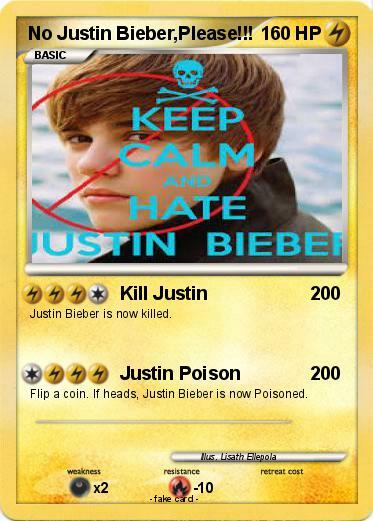 If heads, Justin Bieber is now Poisoned.